This topic contains 4 replies, has 3 voices, and was last updated by Anonymous 2 years, 6 months ago. I can not connect my RLC-411WS to my RLK4-210WB4. When I go to my device list the camera is in the list with an IP address from the NVR. 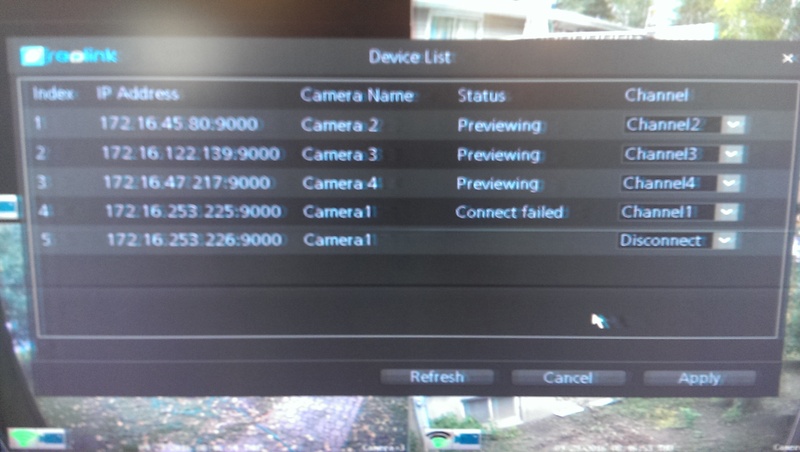 I assign the camera a channel and click apply and the status shows Connect failed. Help. In the past when this happened to me, it was because the password was not set correctly on the camera that failed to connect. Once I set it or used the correct one on the NVR all things worked. Just a thought. I would also make sure the firmware on the one not connecting is the same as the other cameras you have working. This also may be an issue here. Thanks for your replies. The camera has the same password as the NVR WIFI settings password. The firmware for all cameras and the NVR are all upgraded to the most recent firmware. The RLC-411WS will not work with the Wi-Fi NVR which can only work with the RLC-210W because of their private protocol. The RLC-411WS will work with the POE NVR.